Tree Surgery and Gardening Canada Water SE16 | RDA Cleaning & Maintenance Ltd. If you have a great patio in your property, you are lucky. A garden can make the leisure time at home more pleasant and even healthy - outside at the fresh air it is so beneficial to relax! But to take those benefits of your garden, proper care is necessary. Remodel your garden area without even a single effort! Make it the outdoor paradise of your home simply and on a budget. We can offer you a great bunch of modern and competitive gardening services in Canada Water SE16 on a budget! Our professional gardening company is a smart solution for the perfect and effortless exterior space. 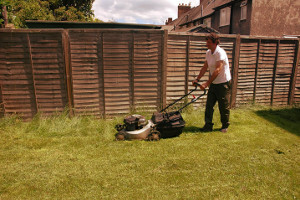 With huge experience in the field, our company hires only experienced gardeners in Canada Water SE16 to meet your needs. As a customer you will receive understanding, preliminary consultation for your garden recovery and maintenance, as well as in time visitation for proper treatment. Depending on the condition of your garden or the required activities in the patio, you can choose different duration and frequency for the visitation. We do offer decent fertilizing, cutting and edging of all plants, as well as watering and special cares to your trees. Please, bear in mind that we will also handle the autumn leaves and will remove the garbage before taking care of the lawn. Whethere you don`t have time, or your garden hasn`t been touched and maintained for years, the talented and motivated gardeners come to help you right away. All homeowners, tenants and landlords are welcomed to order the fast, secured, eco-friendly and effective garden renovation and maintenance in Canada Water SE16. Our trustworthy garden service company guarantee you full customer support and perfect final outcome. Call our gardeners and receive the best offer for your home exterior. All the gardeners are well-trained, educated and fully insured. In case of any omission, loss or damage during the procedure, our competitive gardening company will cover all the faults. So if you wish to hire an expert gardening company in Canada Water SE16 then please give us a call at 020 3404 1646 or use our online booking forms and we will be on our way to help you out with any kind of service available.